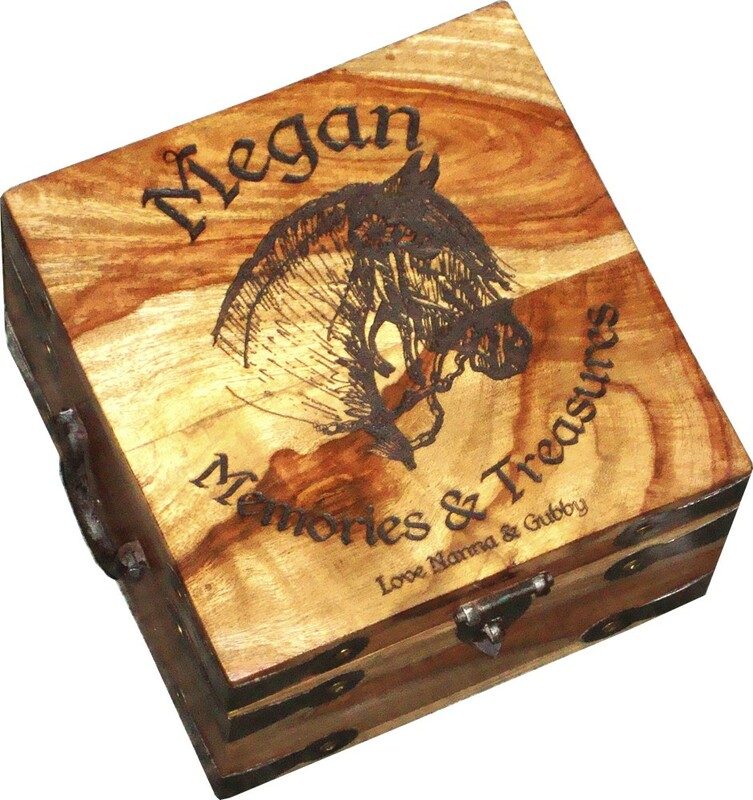 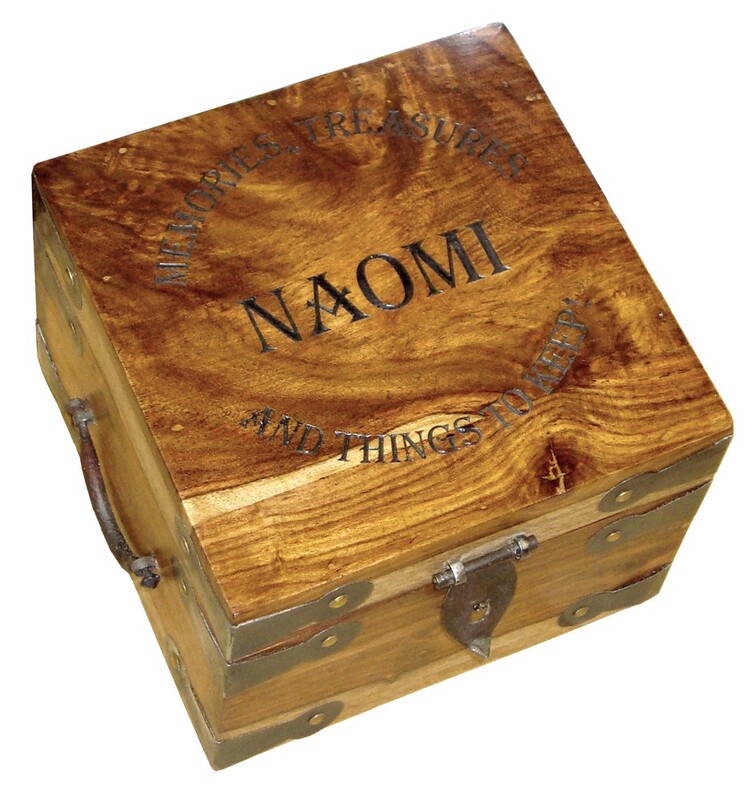 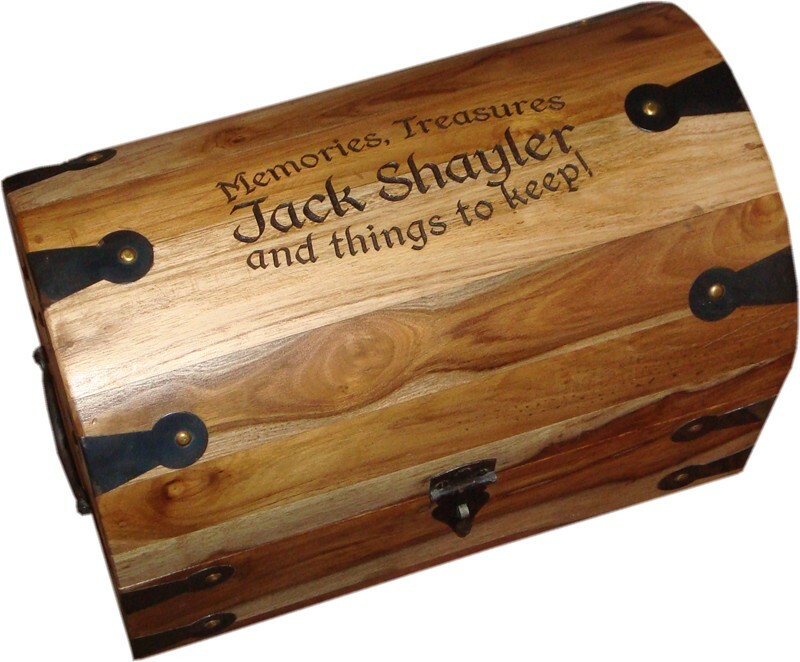 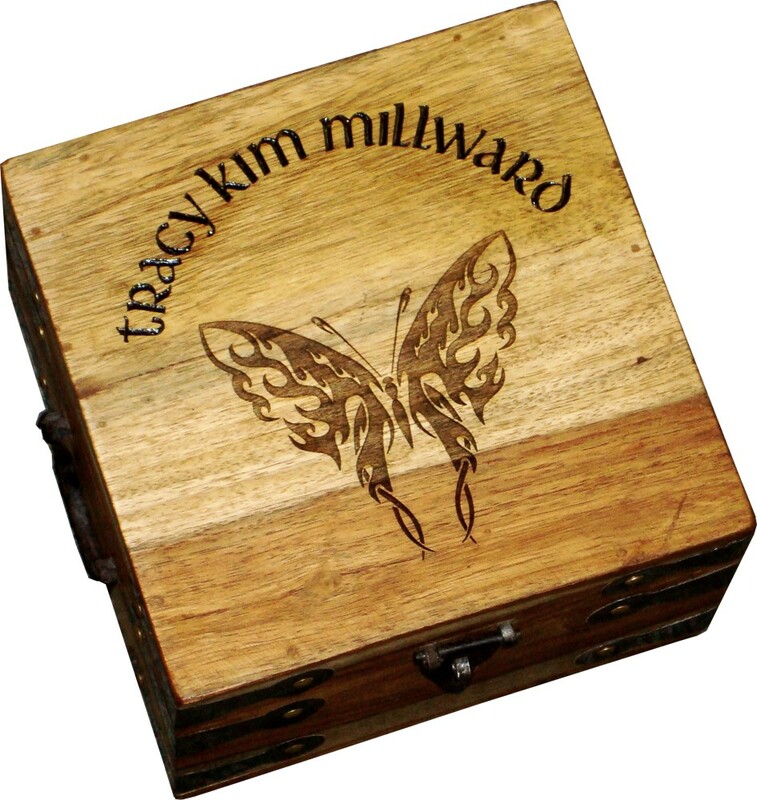 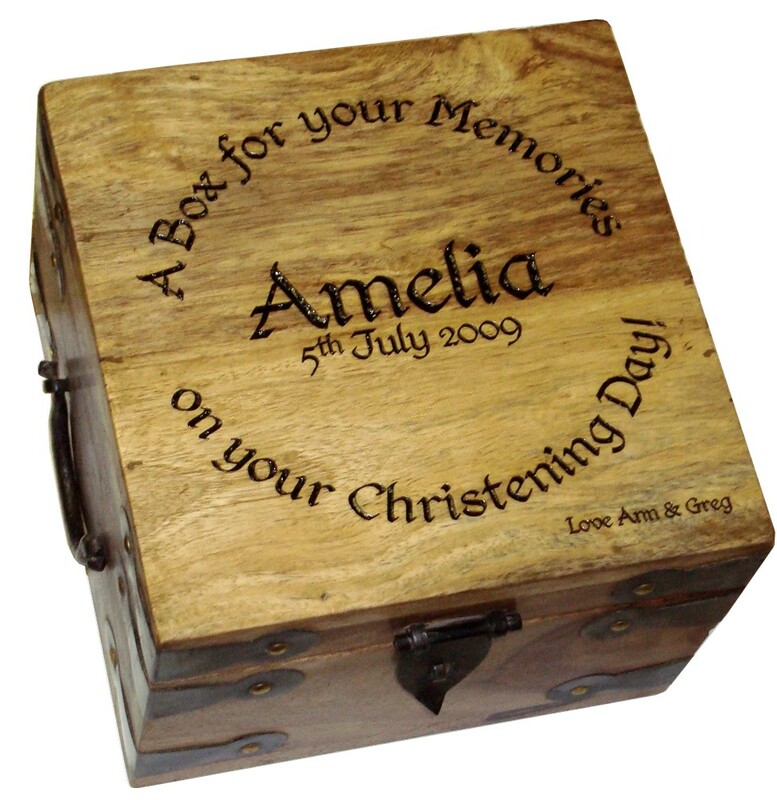 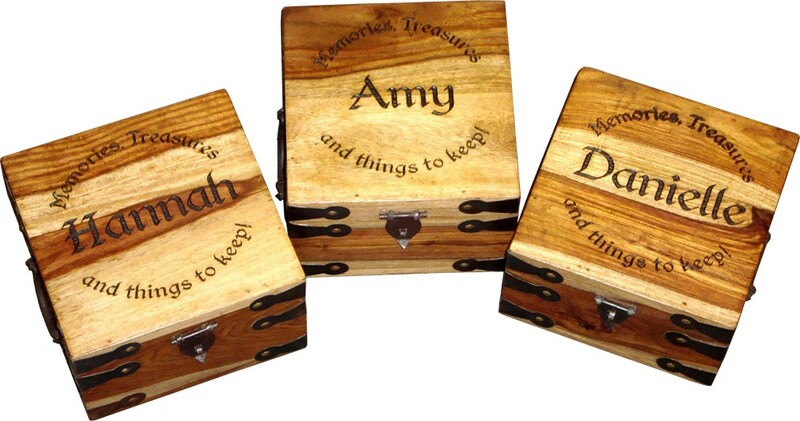 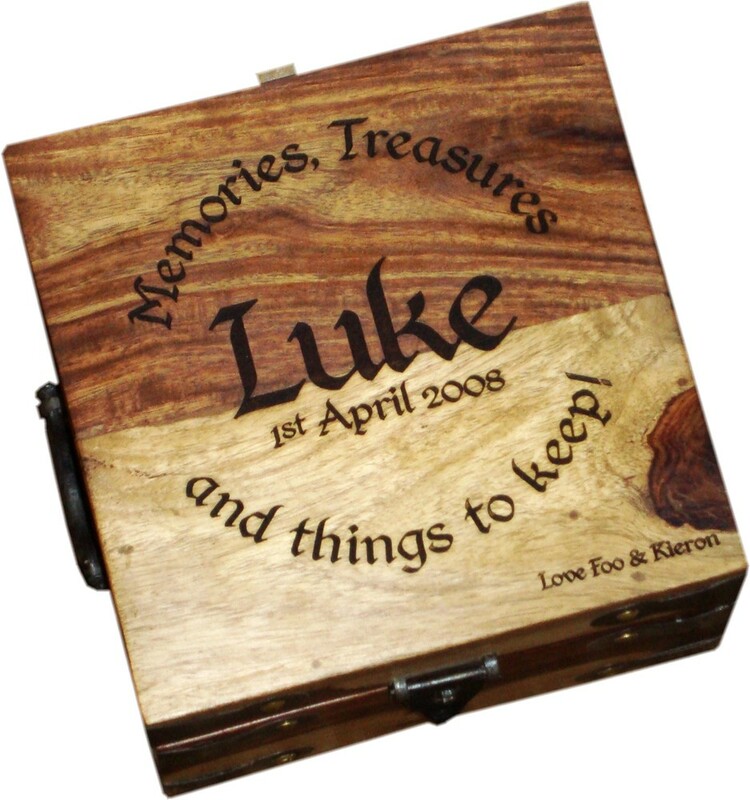 Home Cube Memory Boxes Small Personalised Memory Box 7" x 7" x 5"
Please note - these boxes use metal fixings to hold on the handles and clasps. 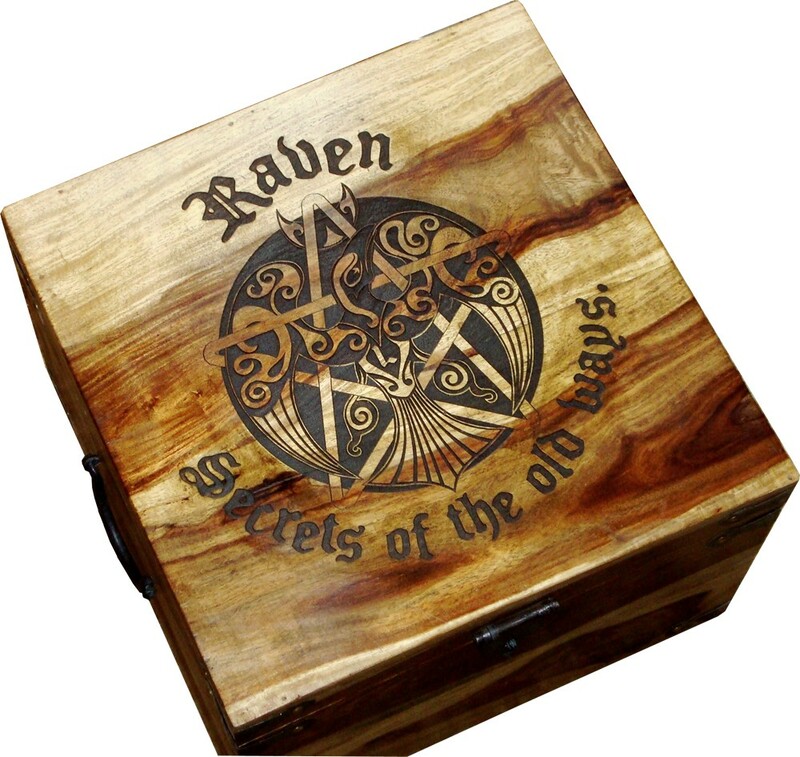 These are inside the box and we recommend that you cover these with a piece of of duct tape, or similar to avoid any chance of catching your fingers on them! 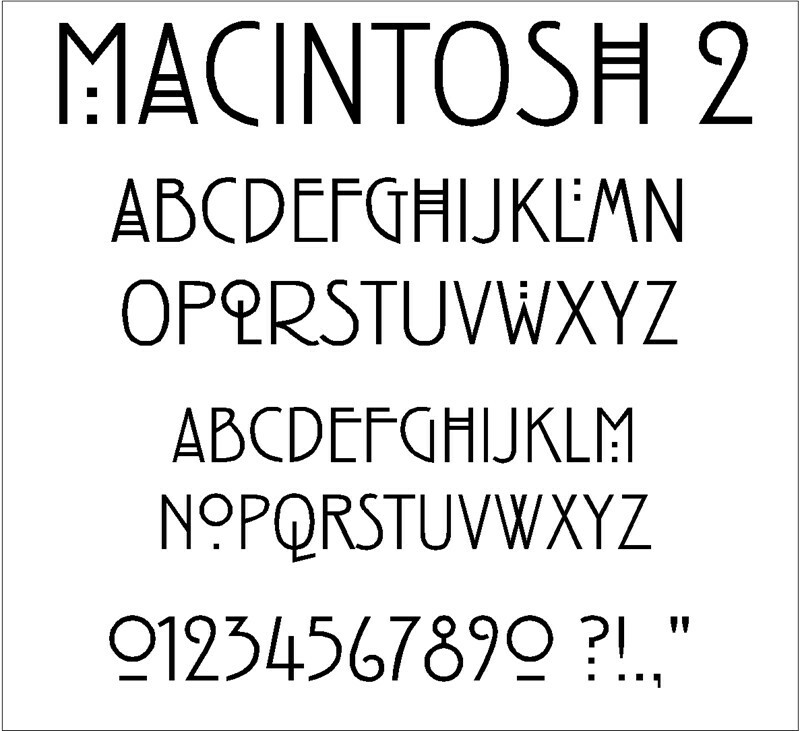 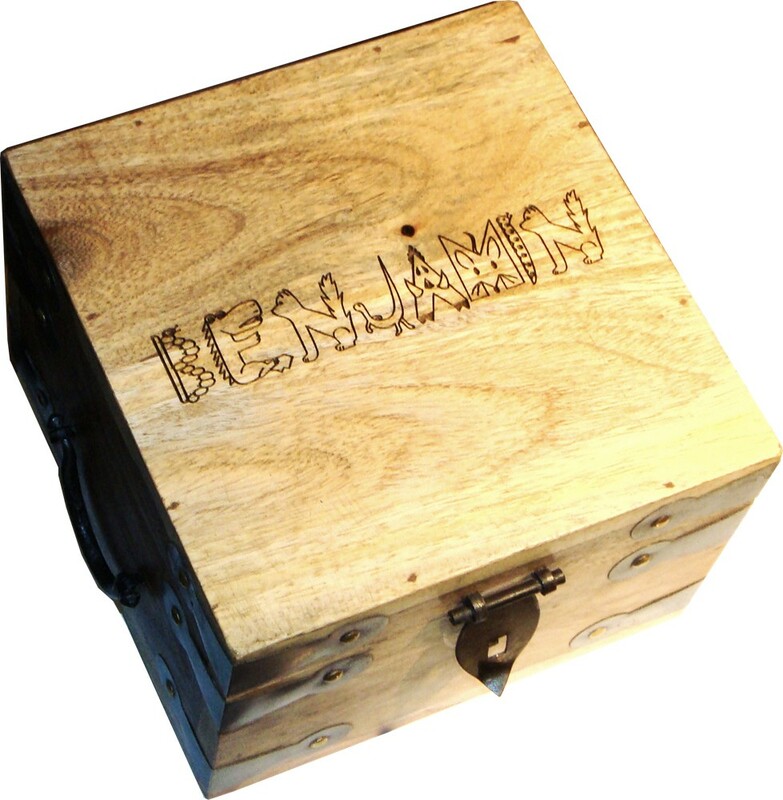 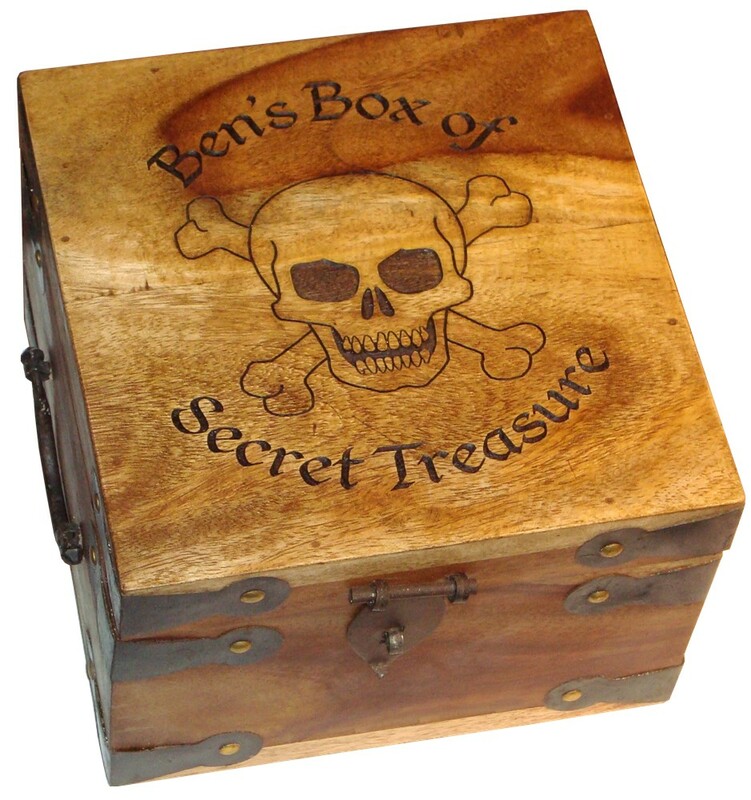 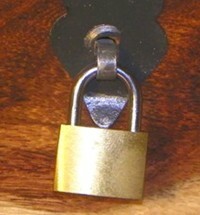 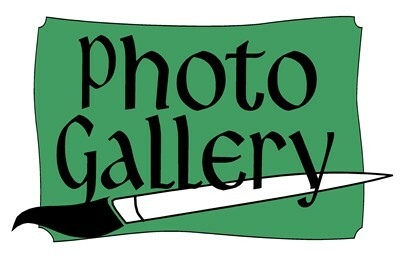 The photograph is of a box engraved in "MacIntosh2" font. 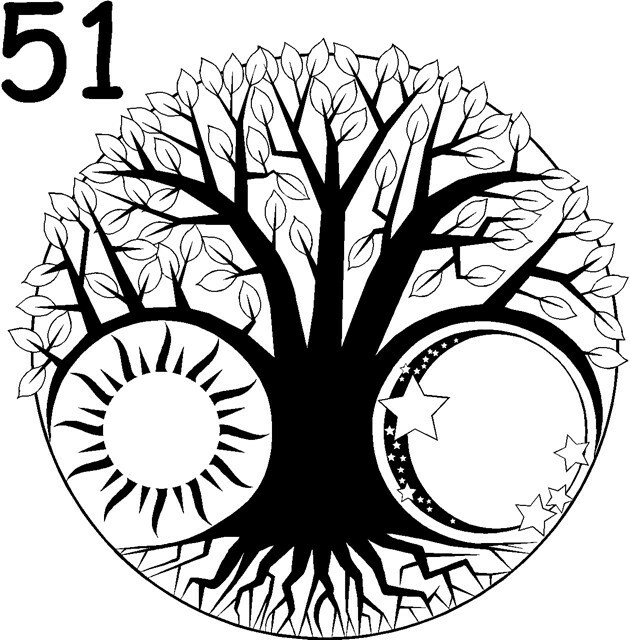 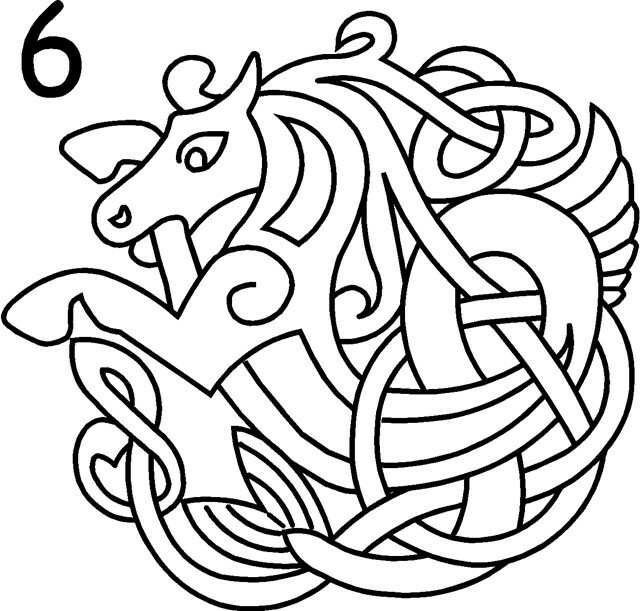 With a Celtic Horse (Graphic 6) design in the centre. 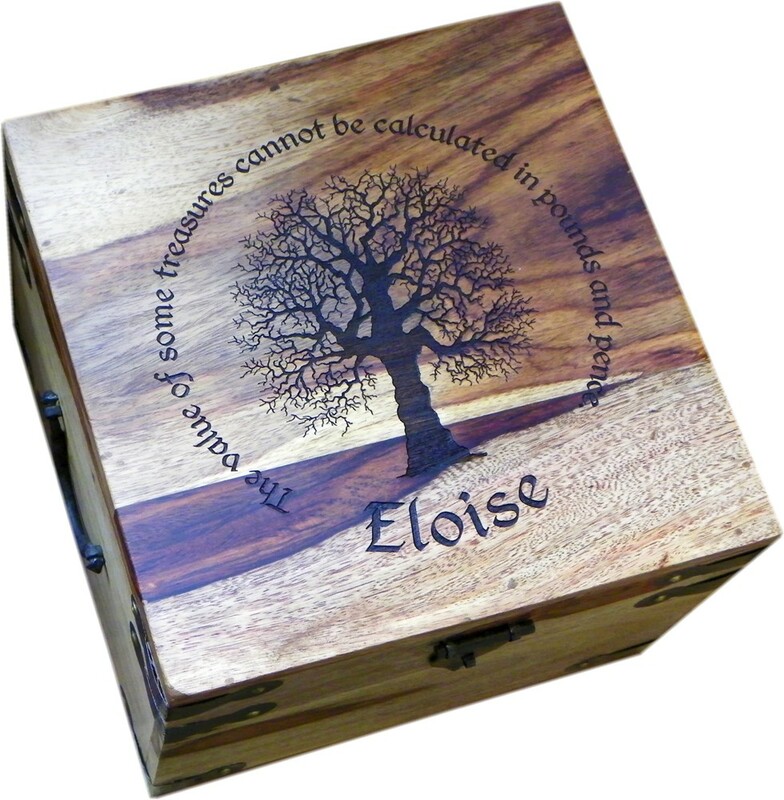 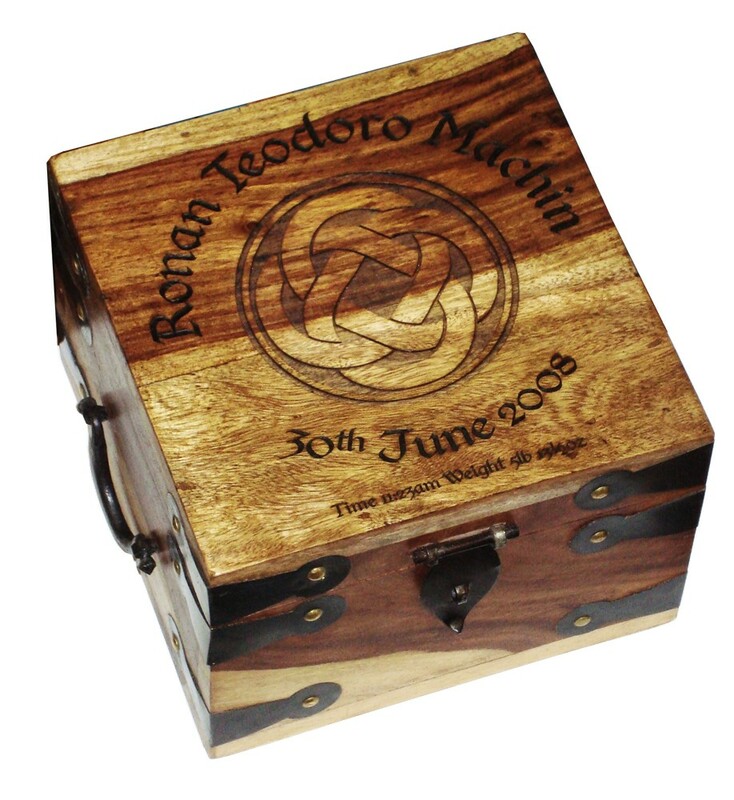 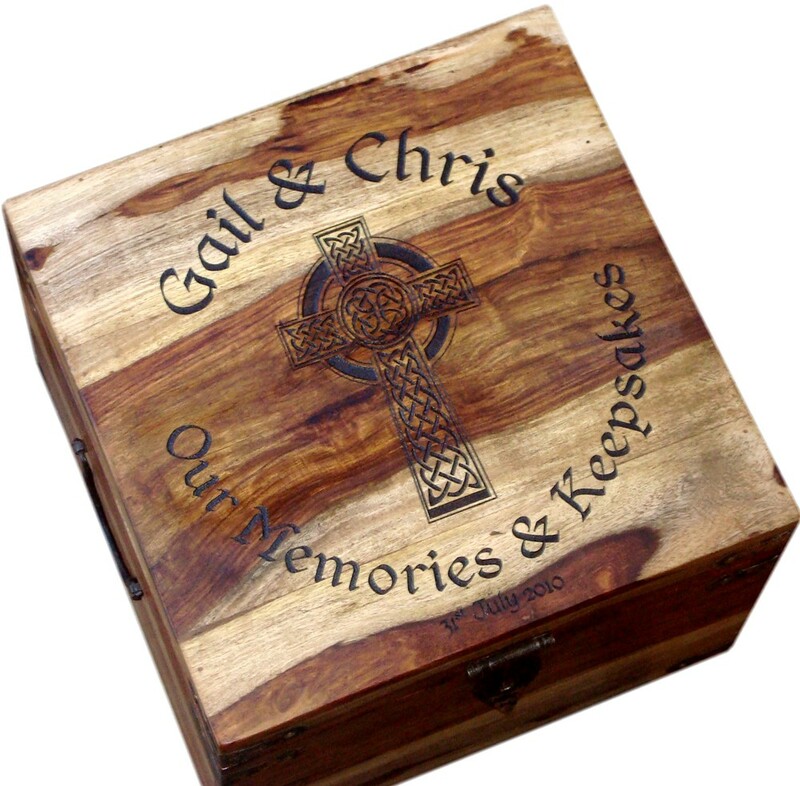 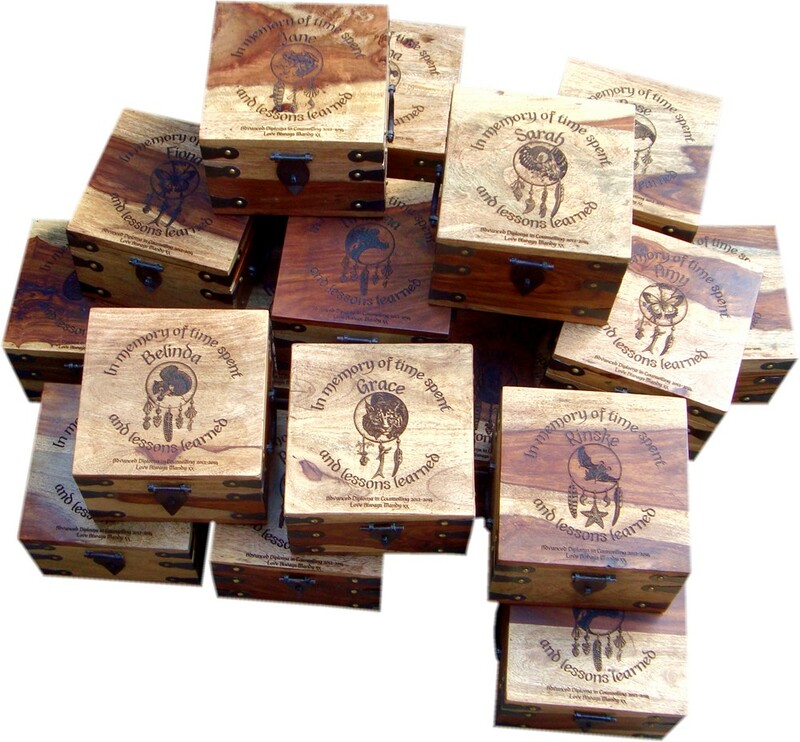 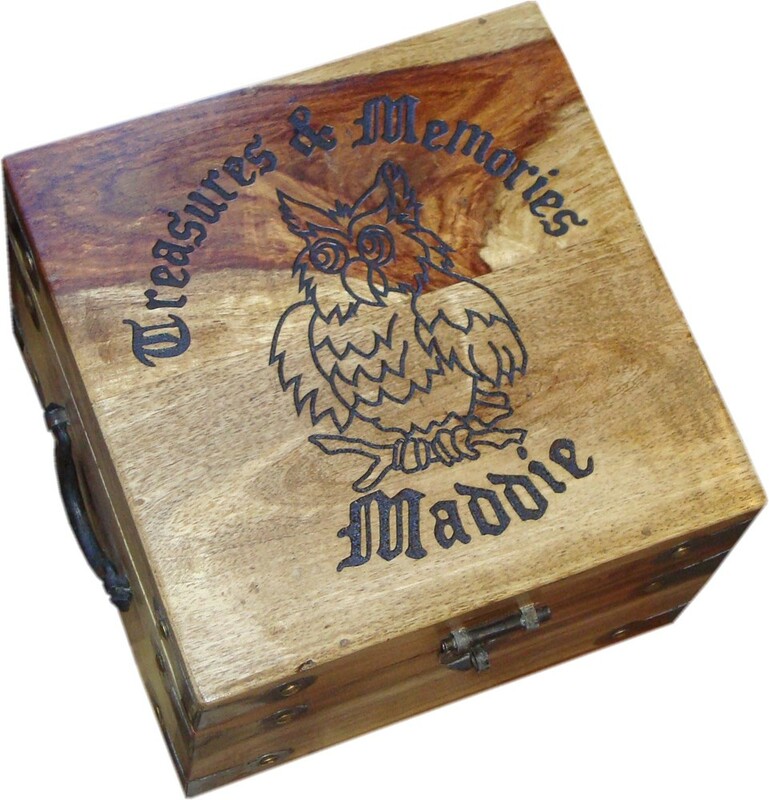 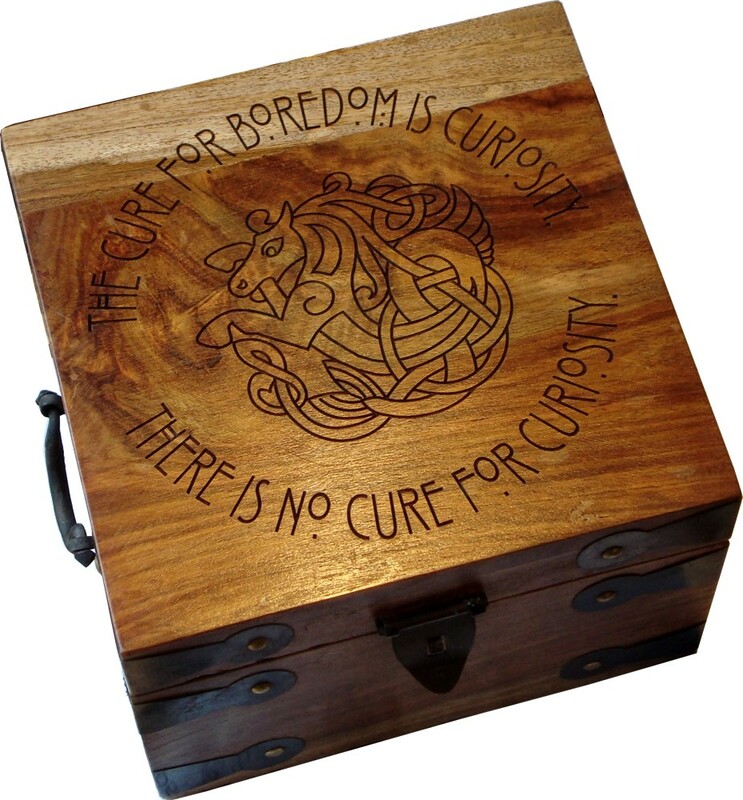 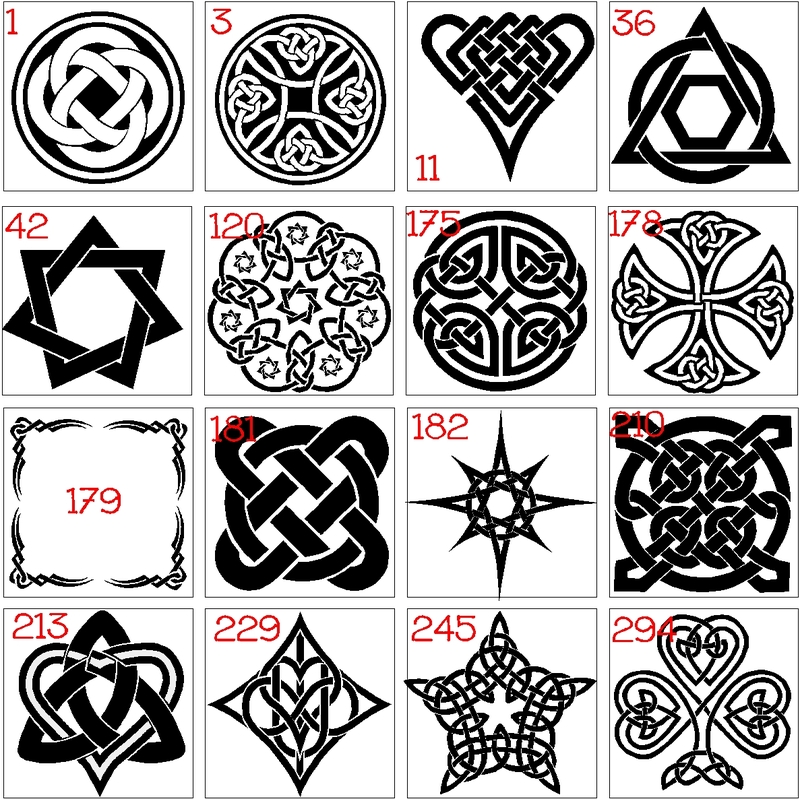 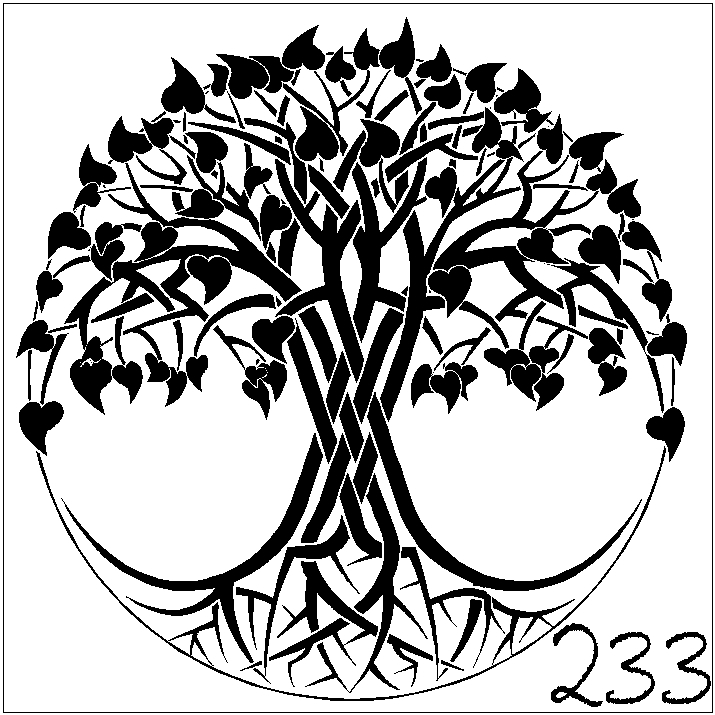 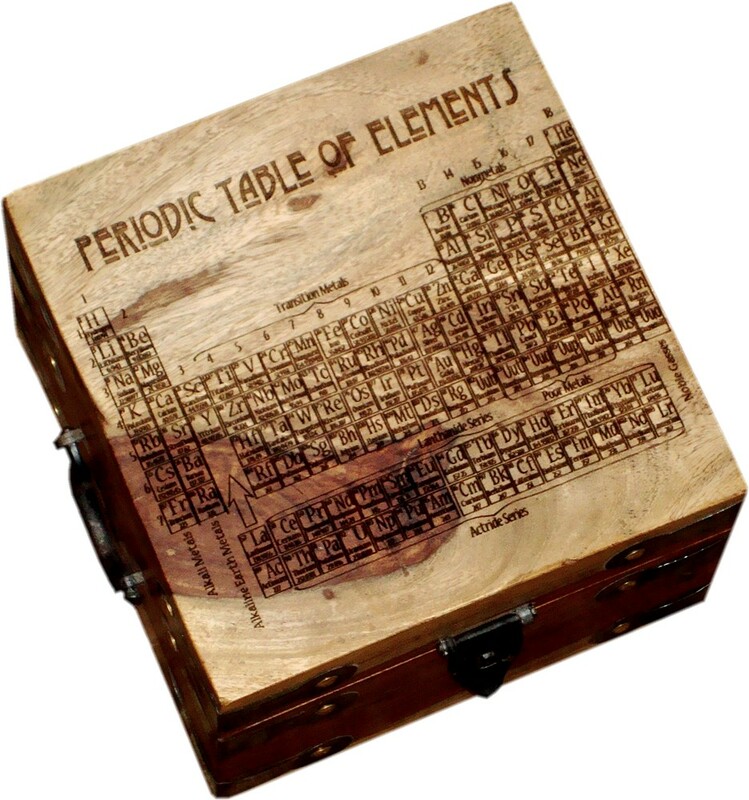 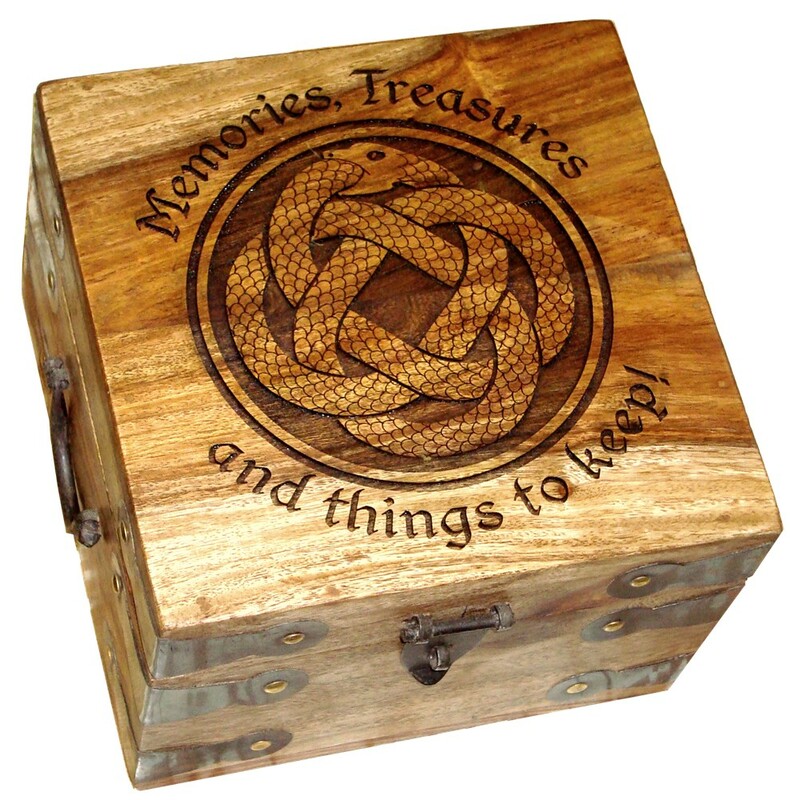 Some of the best graphics to use on these boxes include the Celtic Knots, the Tree-of-hearts and the Tree-of-life. 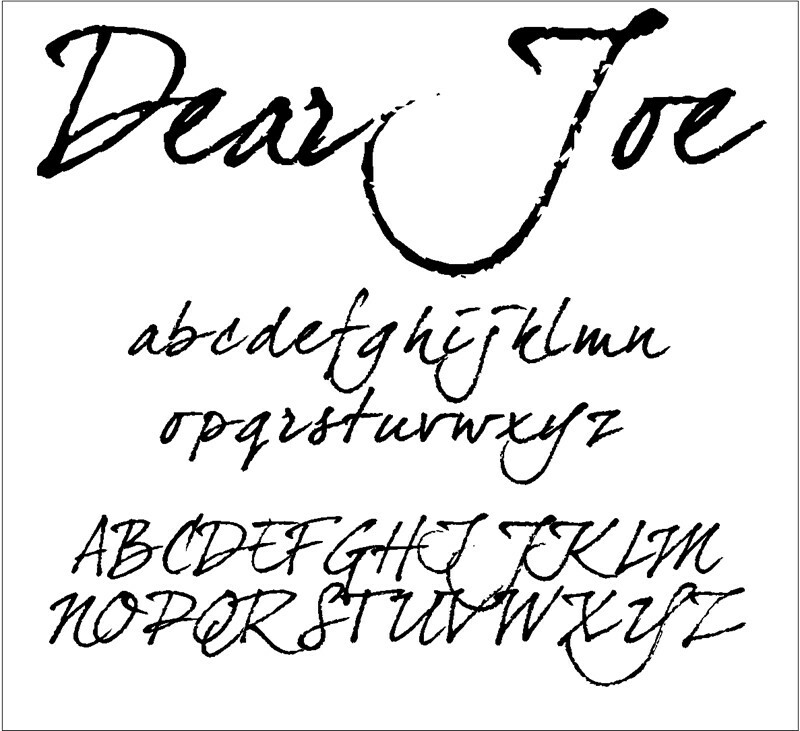 If you would like a personalised message a nice touch is to use a hand-writing font like "Fountain Pen", or "Dear Joe". 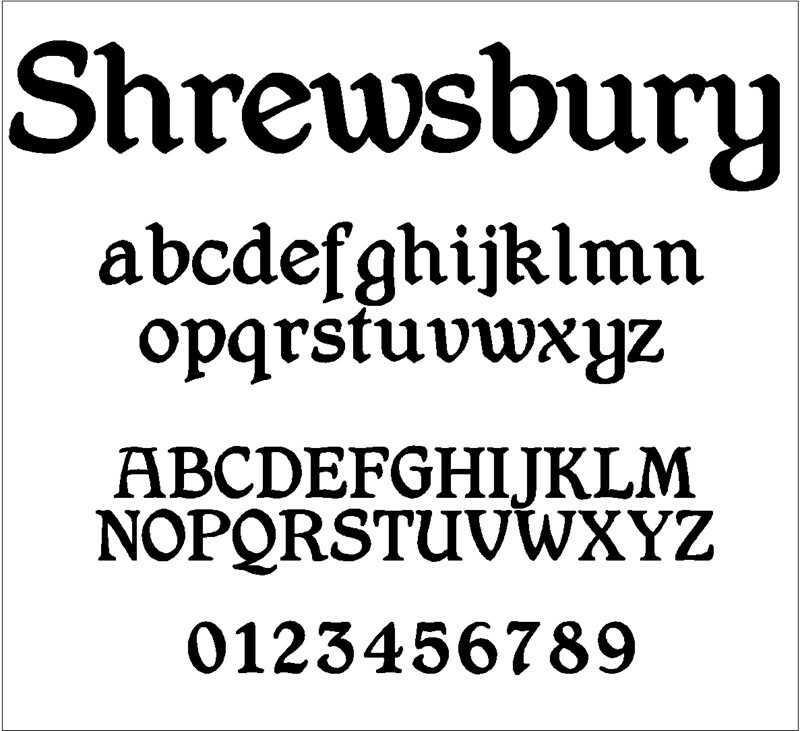 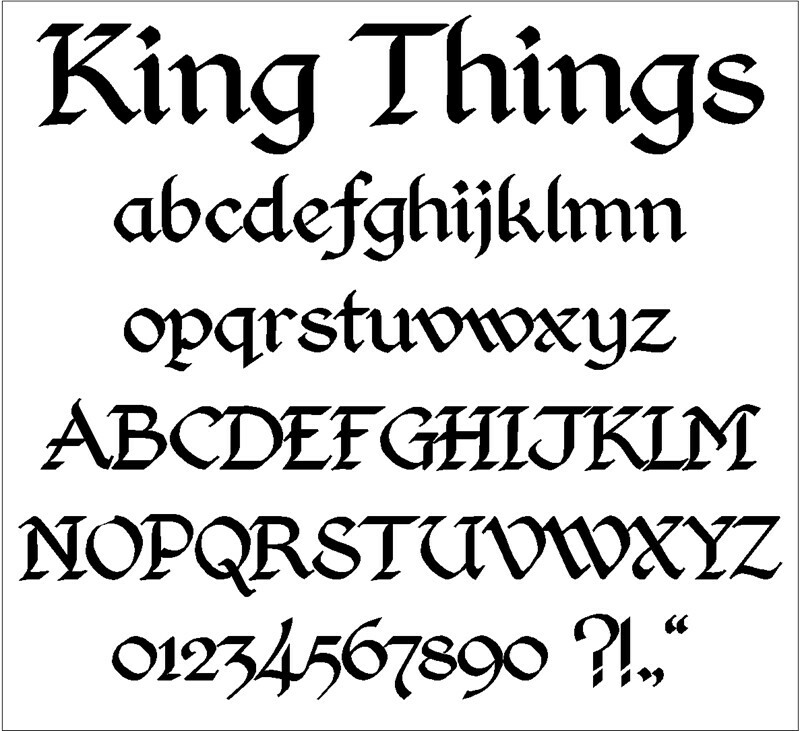 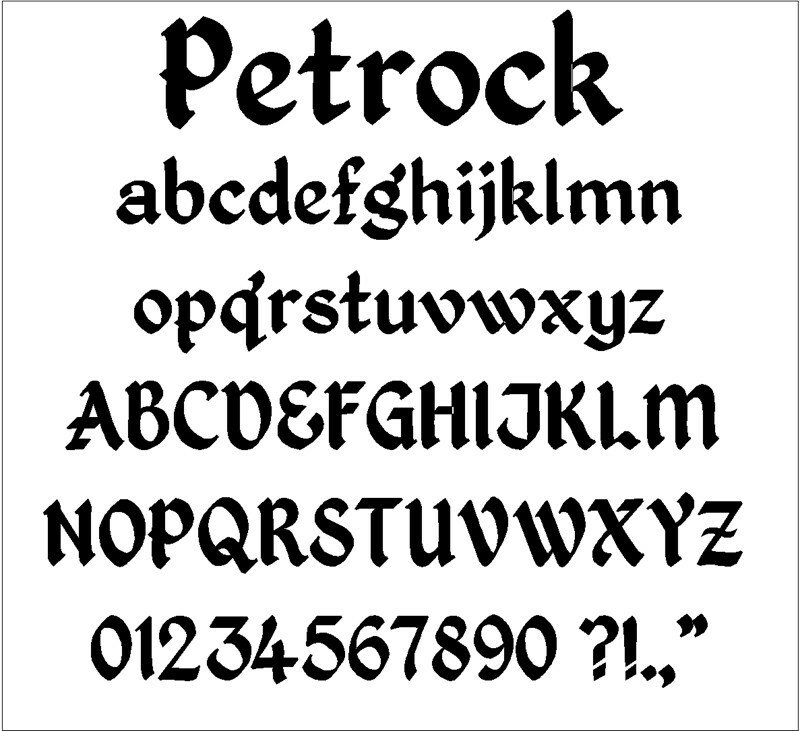 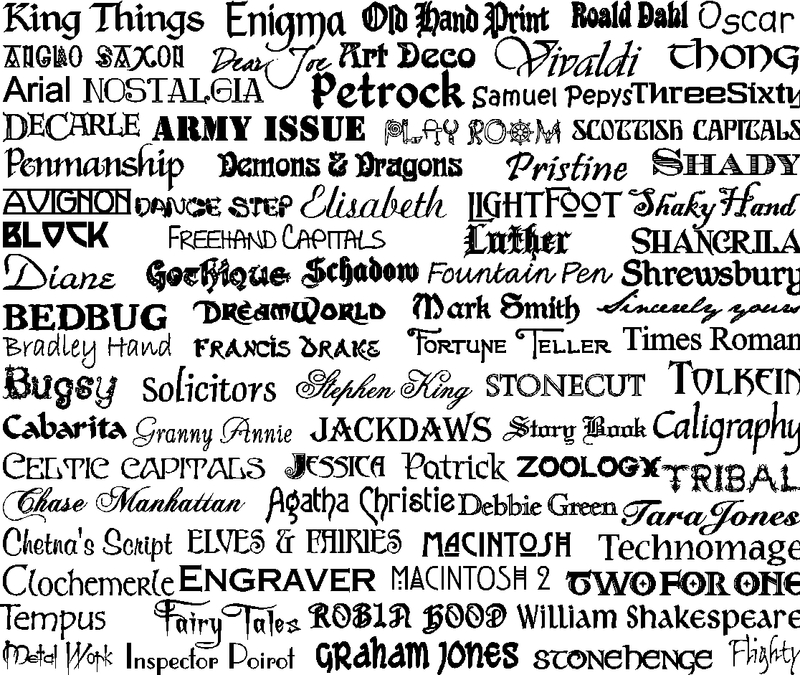 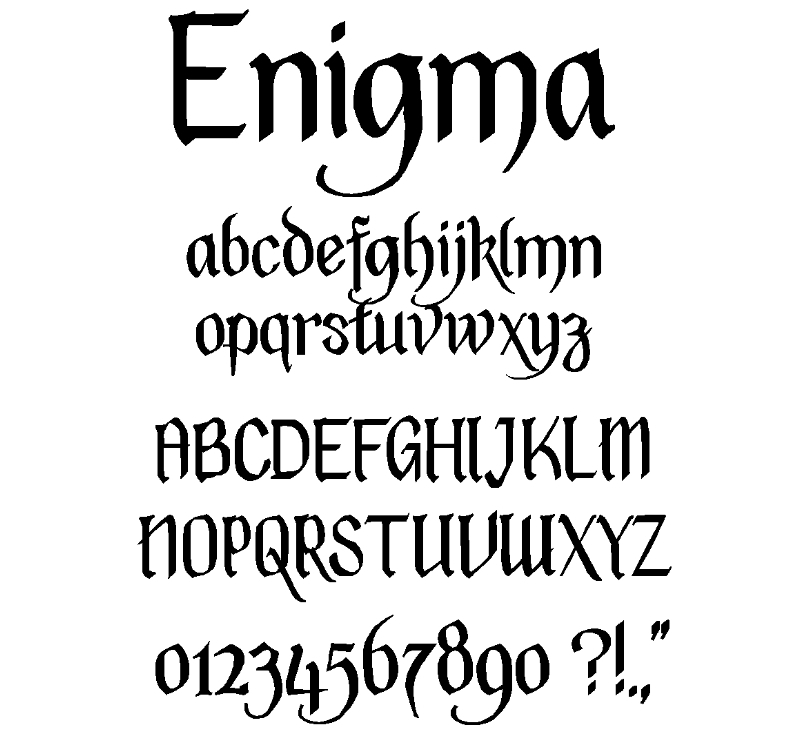 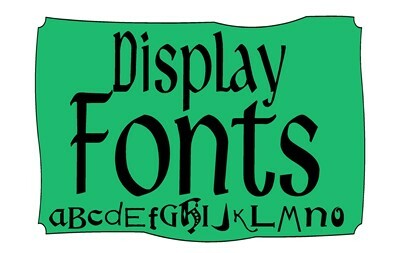 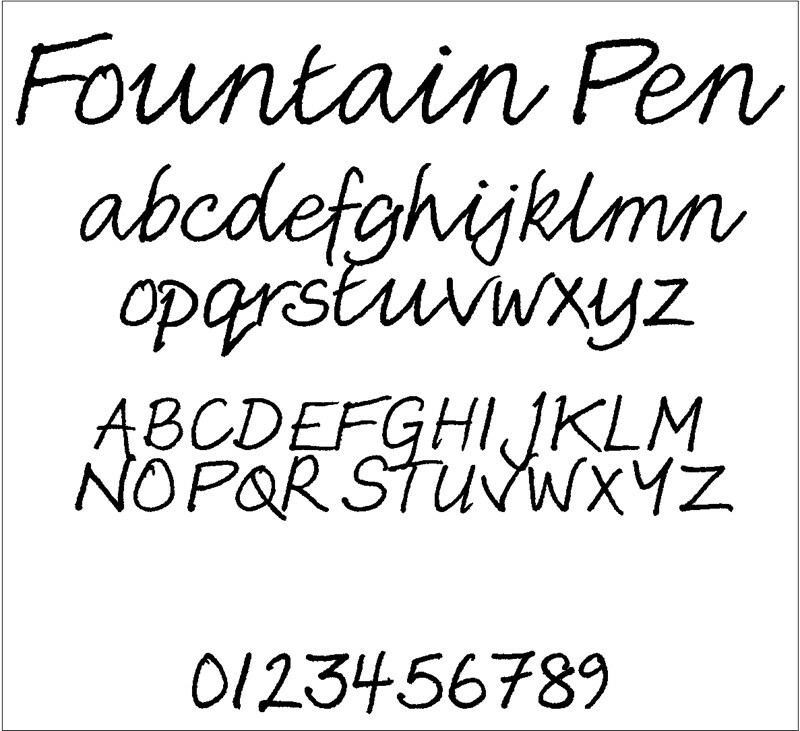 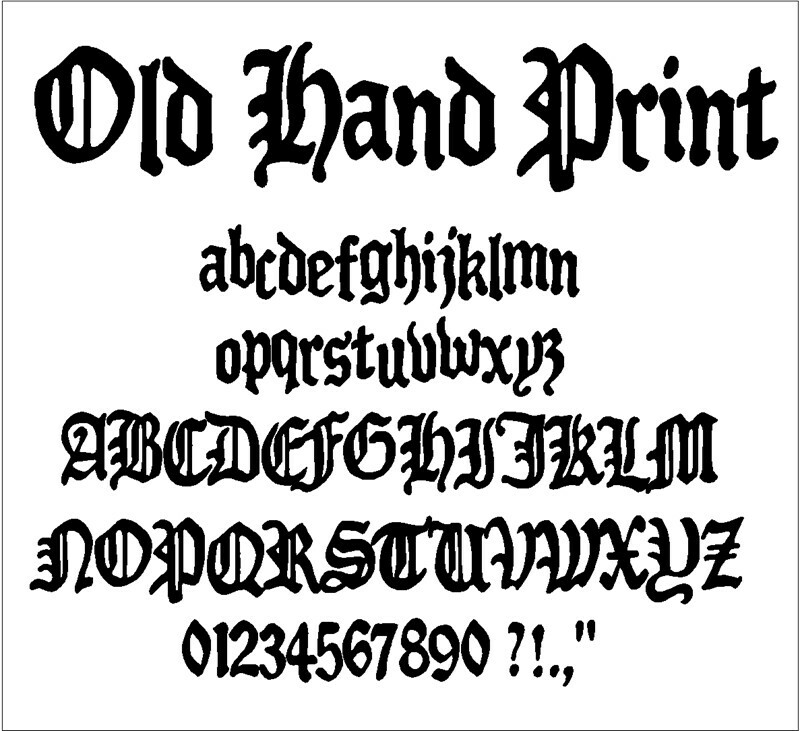 We offer a choice of 80 different fonts from you to choose from, but if you have a particular font that you are after we probably have that as well. 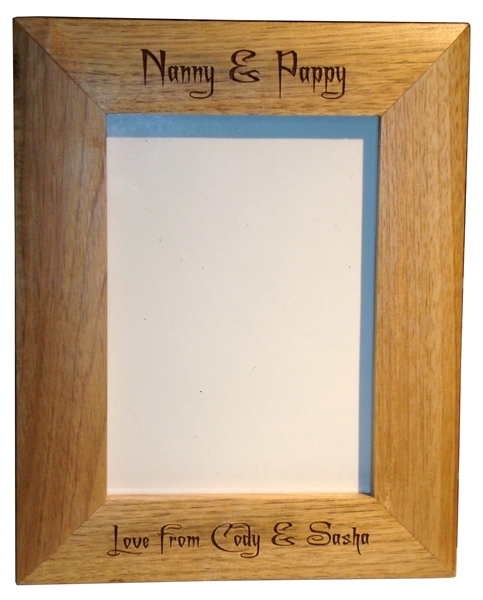 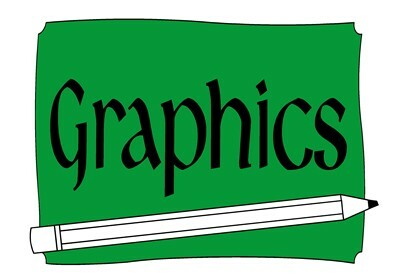 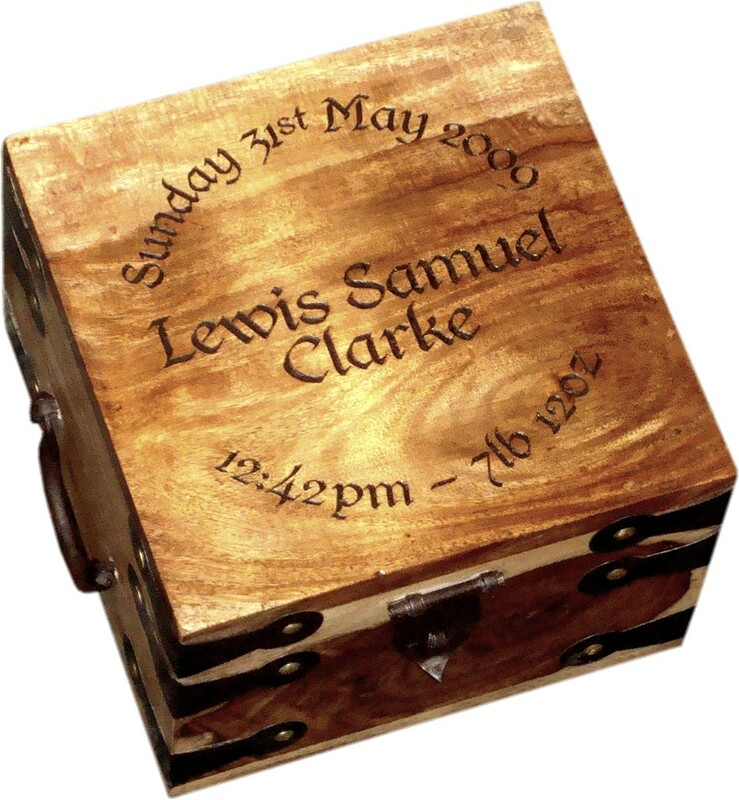 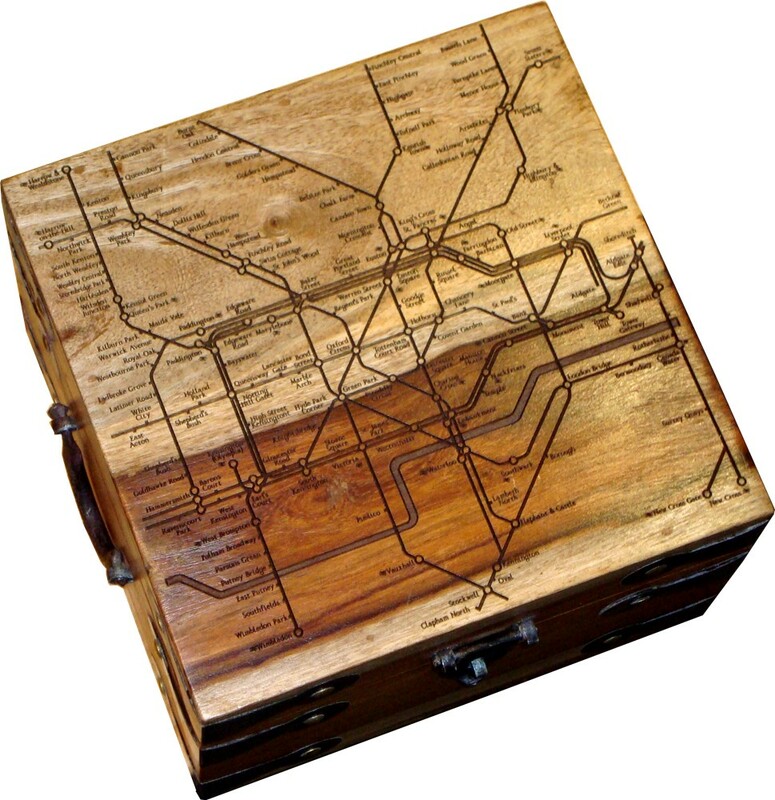 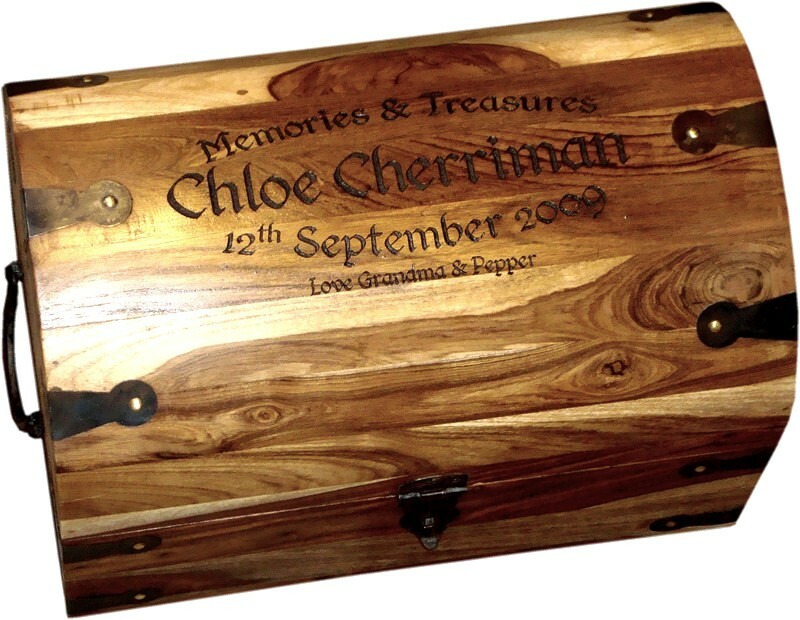 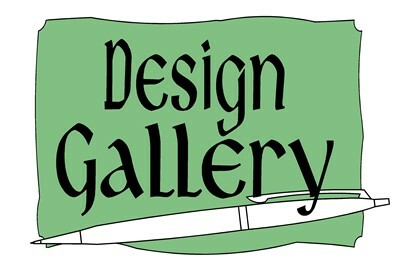 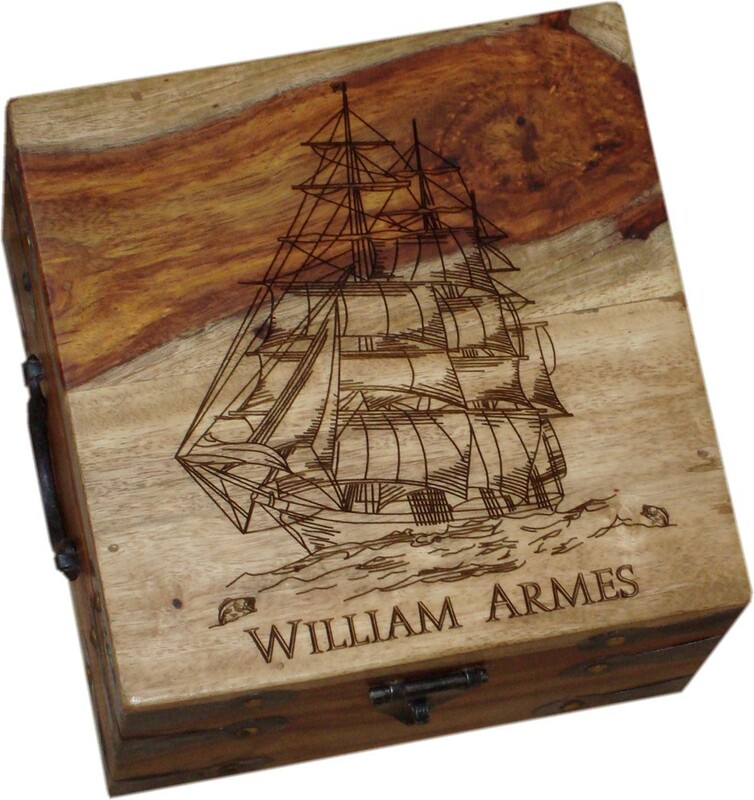 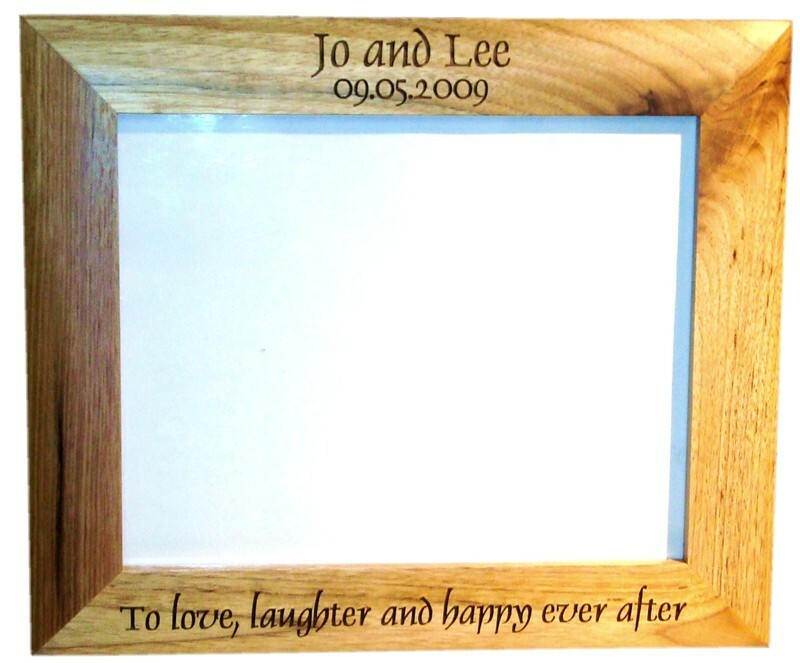 The same goes for the graphics - if you have your own graphic that you would like us to engrave then just email it through and we will let you know if it is suitable.